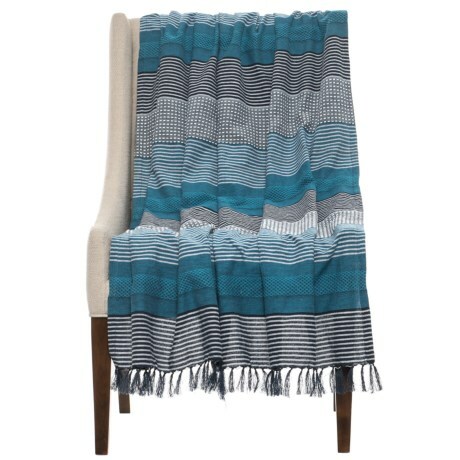 Bravo Stripe Throw Blanket - 50x60? CLOSEOUTS. Woven in soft cotton blend, the C andamp; F Home Bravo Stripe throw blanket is a warm and vibrant accent for your home furnishings. Available Colors: COBALT, DESERT, TIN.